This stimulating book sets out to critically explore the notion of men, masculinities and teaching in early childhood education. It addresses the global pattern of gender, teaching and care where men are in the minority, and explores the notion that the greater involvement of men within teaching and associated professions has the potential to transform gender relations for future generations. Gendered ideals, and children’s interpretations of gender. 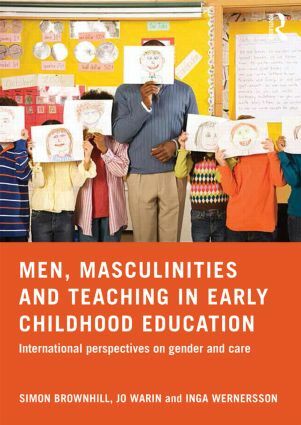 Men, Masculinities and Teaching in Early Childhood Education brings together a refreshing and critical set of perspectives linked to an increasingly important educational debate and will be a valuable text for practitioners, professionals, policy makers and parents/carers.